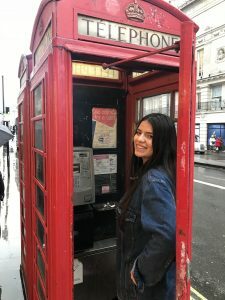 The last year of high school, I remember my government professor sat the entire class down and read to us, “Oh, the Places You’ll Go.” Who would have thought that three years later, I would be traveling through Europe, discovering the different cultures and familiarizing myself with local traditions? Being able to explore other people’s customs has been a blessing that never seemed real until I found out about SAI and John Cabot University. Since my time here, I have been able to explore Denmark, London, and different parts of Italy. 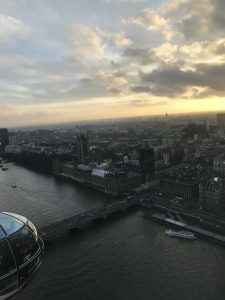 So far, London has been my favorite place because of the beautiful architecture and landscape, and the many kind people who helped me when I had no idea where I was. Denmark was truly special because it made the dream of having a white winter come true. Growing up in Southern California doesn’t allow you to see any snow so seeing snowfall was captivating. 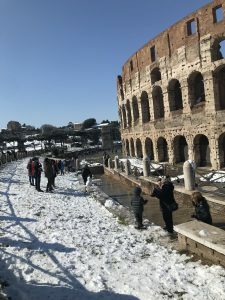 Also, having snow days in Rome was incredible because it hasn’t snowed for six years. While exploring all these new places, a person learns a lot about themselves. What I have learned from this experience is sometimes you need to be willing to do things on your own. Sometimes just taking a new path home allows you to see a new beauty which you never knew existed. My one advice is don’t be afraid to do things that other people don’t want to do. Just do it. Krystal is an SAI Rome spring 2018 student from Point Loma Nazarene University.